Book Coach Holidays & Tours in Italy with Highlights of Venice! 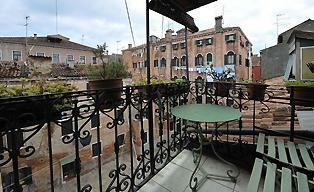 Book Coach Holidays in Italy & Venice! Here you can find coach holidays to Venice in combination with other Italian cities. An escorted bus with the best guides available. Above all, on the tours, you have a lot of free time to discover the city of Venice! Coach Holidays in Italy with the Highlights in Venice! The Italian Dream: One of the cheapest coach tours on my list. You can book it from out the US and also directly from the UK. Your coach holiday tour is starting in Rome. The journey will even end in Rome. Classical Italy: Traveling with a coach to Venice has one unique thing! The well-informed guide during your tour makes the difference. When you take this cultural coach tour, you can enjoy all the knowledge of this personal guide. A 5-day holiday tour from Rome to Venice and two other locations. When I think back to my first coach holiday in Italy, I had some doubts. I want to go my own way and discover beautiful sites in Italy and Venice. But, most coach tours you have more free time than you think. And the most important reason which I learned afterward is the educational and efficient way of traveling. In such a short period, you will learn a lot about culture, history and you will get a chance to see beautiful scenery which you were not planning to do when traveling on your own. A coach holiday is an easy and fantastic way to visit Venice, while you sit back, relax and take in your surroundings with everything is taken care of for you. Your holiday is with experienced drivers/crews and expert guides. The beauty of joining a fully escorted coach tour is that without having to plan, research, organize or navigate, you will be taken to all the right places in an incredibly relaxing environment, on board your luxury coach. All of the accommodation is within your holiday price. TourRadar does not charge any additional cancellation fees. Travelers who went to Venice to verify all reviews. I gave you some highlights about Coach tours to Venice. I have some suggestions, as you will read. Please click on the links to explore my site more and get more information about the different topics.